Stand up paddle boarding (SUP) involves standing on an oversized surf board and paddling with a single bladed paddle. It offers a fun, relaxing way to play on the water, and at the same time delivering a great full-body workout. Are you keen on learning this new watersport? Or are you an experienced SUP boarder? 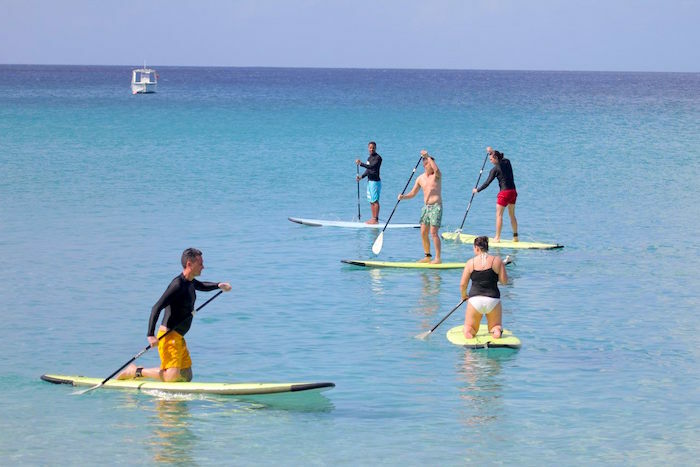 Give Bruce Mackie at call at Paradise Surf School and arrange a paddle lesson or to rent SUP boards while in Barbados.